Backlash over the electric scooter craze is growing. Social media videos show people so fed up with the modes of transportation that they are throwing scooters from rooftops. In another video posted to Instagram, one scooter was set on fire. Others are tossed into the trash or ocean. 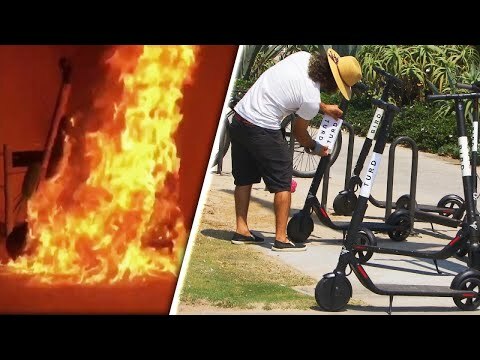 The backlash is happening across the country, but particularly in southern California, where Bird scooters are left on sidewalks for anyone to rent through a cell phone app. Hillary’s Emails Come Back To Haunt Her After What Fitton Just Uncovered In Them. Was Colorado Husband Who Allegedly Killed His Pregnant Wife Having an Affair?